Livereload Chrome Browser plugin. I only tested it with Chrome and the latest version in the chrome store. Give Livereload and the Vim plugin a try. It is incredibly easy and makes you much more productive immediately. As developers we should always thrive to be more efficient in our day to day work. Cutting those small little actions you do thousands of times per day makes your development lean and productive. If you have any tips on improving your workflow step by step simply add a comment down below. I really want to know your little tricks to be a better and faster developer. 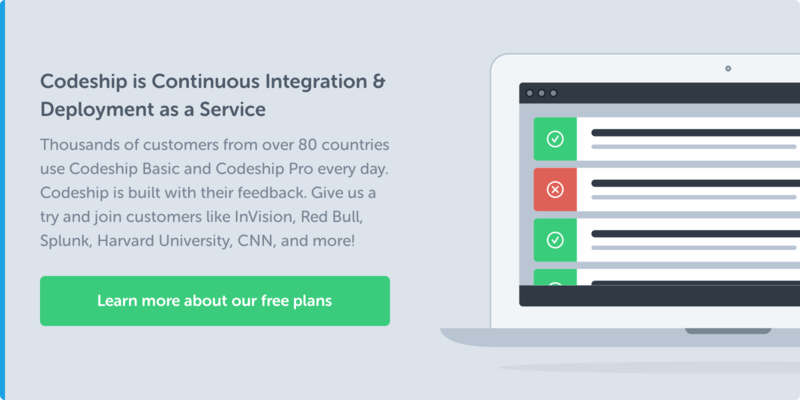 Head over to Codeship and start shipping your apps faster than ever before.